Imago Dei encourages all of its students to aim high, and the Graduate Support Program is a critical part of that effort. All Imago Dei scholars spend at least an hour in Graduate Support Class per week. Graduate Support encourages younger students to dream about their futures; older students engage in research, planning and goal-setting for their high school years and beyond. The Graduate Support Program also arranges high school visits for eighth graders and helps them choose the schools that are the best fit for them, and assists in the application process. 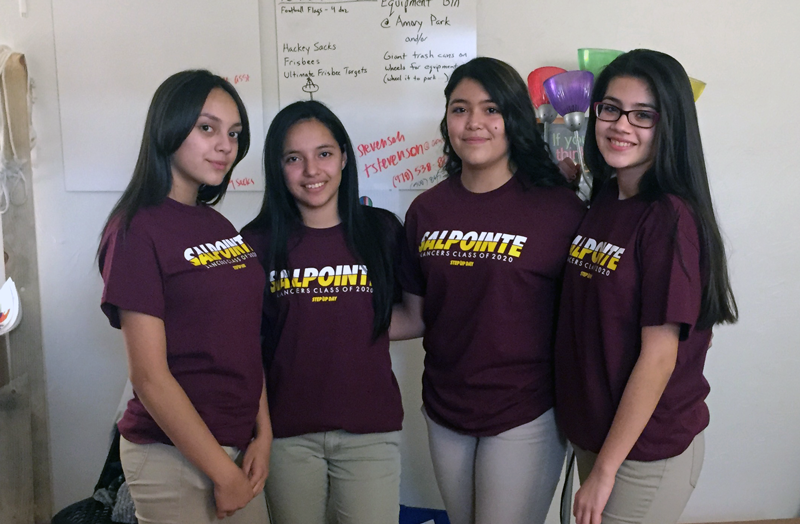 This year, GSP is instituting a new Advisory Program for eighth graders. Students’ connection to IDMS doesn’t end with graduation. The Director of Graduate Support is in touch with 100% of Imago Dei alumni, tracking their progress toward high school graduation, providing them with academic assistance, if needed, and helping them choose and apply to colleges and training programs. To date, more than 90% of IDMS alumni old enough to have graduated high school have done so, and more than 80% of those students are pursuing post-secondary education.